Sustain: The Australian Food Network and Growing Change, in collaboration with the Open Food Network the City of Greater Bendigo and Melbourne Farmers Markets, have put together an amazing line-up of presenters for this Australia-first event. 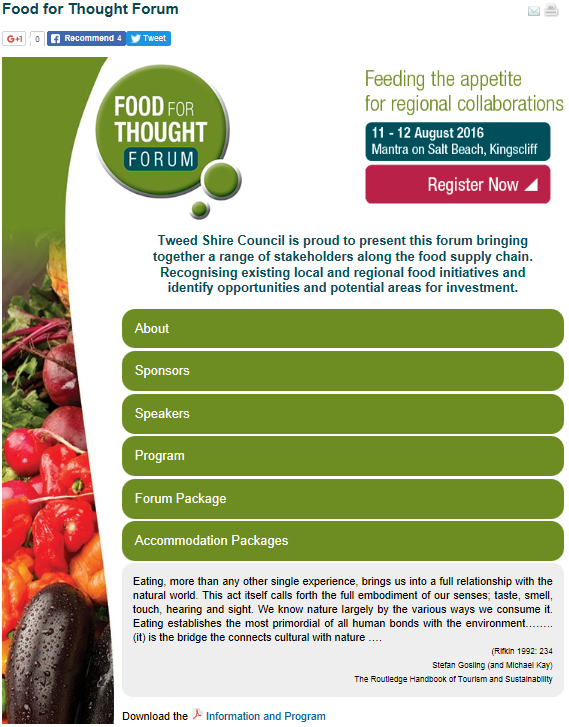 To view the full detailed program and all presenters, please visit the Sustain website. To book your ticket, visit the Capital theatre website. 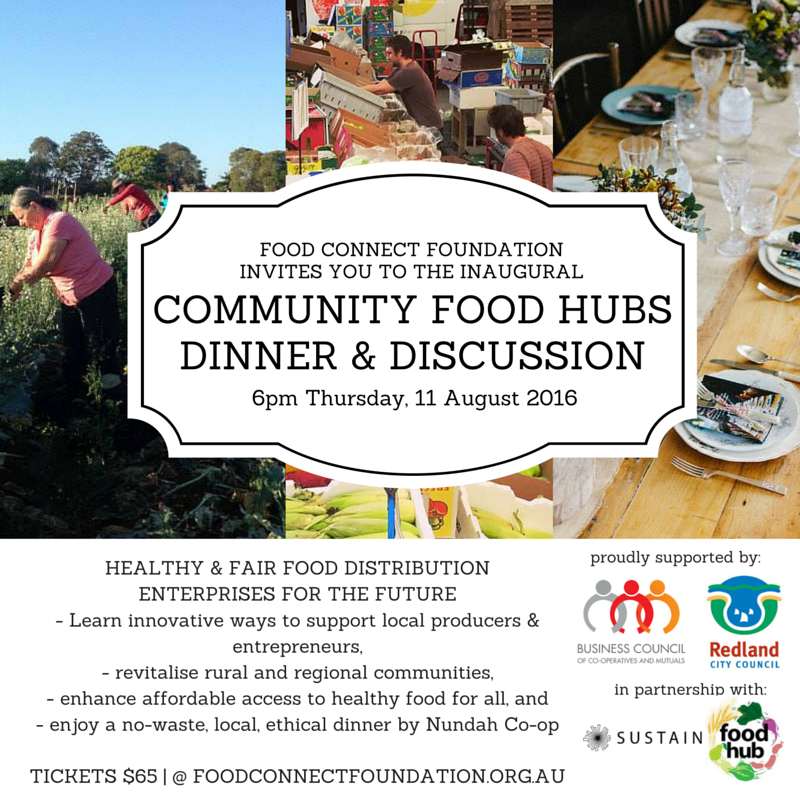 Please note: if you are operating or working in a community food hub, or wish to supply and / or work in / establish a community food hub, we have a limited number of discounted tickets available. Email us at info@sustainaustralia.org for further details. 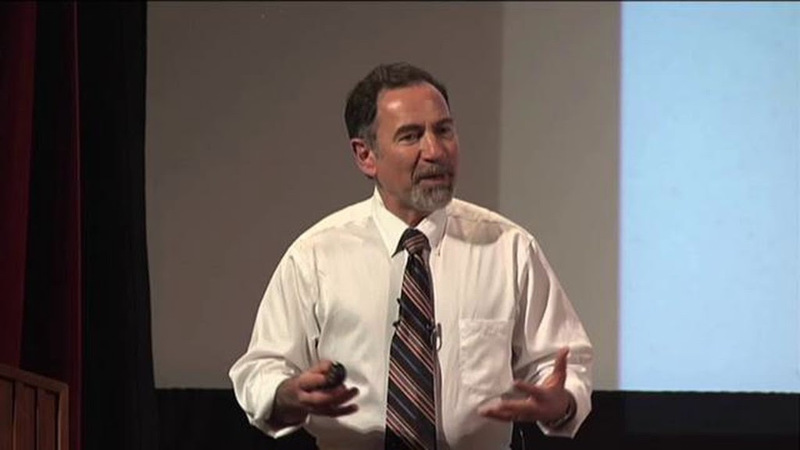 Anthony Flaccavento, farmer, author, trainer and social entrepreneur, of SCALE - Sequestering Carbon, Accelerating Local Economies - is our keynote speaker from the United States. His new book, Building a Healthy Economy from the Bottom Up: Harnessing Real World Experience for Transformative Change, is being published in the United States this month. Kathryn Scharf, Chief Operating Officer for Community Food Centres, Canada, is our keynote presenter from Ontario. 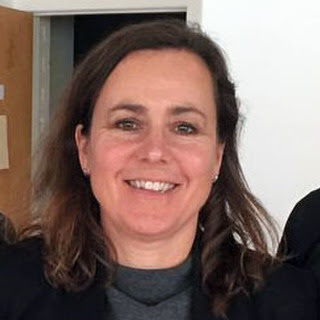 Kathryn spent six years working with Nick Saul at the Stop, which became famous for transforming the foodbank model from one of charity and dependence to a place of empowerment and dignity. She is now working with government, philanthropy and business to take the Community Food Centre approach to the national level through the national network of Good Food Organisations. 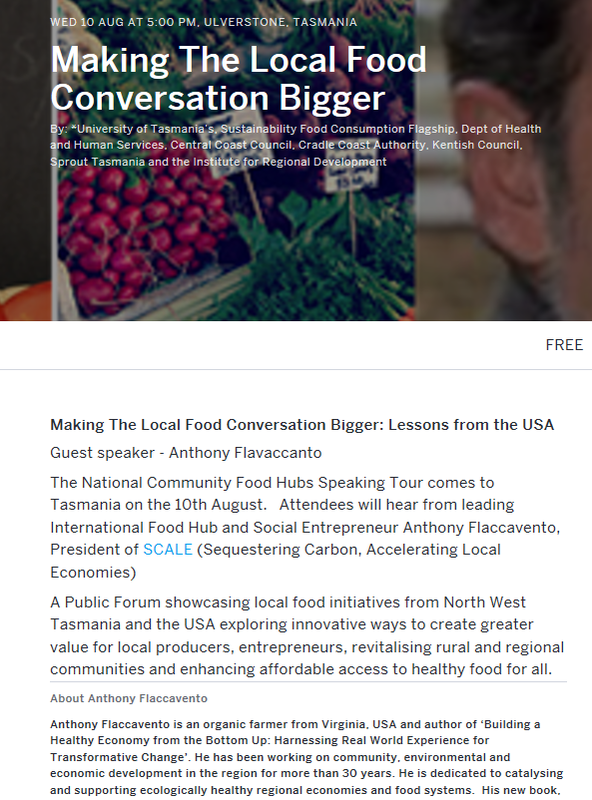 The inaugural national Community Food Hubs conference will be the start of a nationwide tour that will see Anthony and Kathryn visit Burnie in north-west Tasmania, Murwillumbah in northern NSW, Toowoomba and Brisbane in south-east Qld, Melbourne, Seymour and Whittlesea in Victoria, Margaret River and Perth in WA, and Canberra. This is a national conversation that is supported by several universities, local councils, regional development agencies, tourism bodies and social businesses. And it all starts in Bendigo on 8th and 9th August!